PETER Diving System is not only for recreational use, it actually has many potential applications in other fields. Currently, it is being used for coral reef restoration by Coral Guardian in Indonesia and now we have also started to evaluate about other scientific applications with Federico Vitelli. These are the impressions of one marine biologist after his first PETER Diving Experience. “I am Federico Vitelli, PhD Candidate at Edith Cowan University in Western Australia. I’m a marine biologist specialised in reef fish ecology, with a strong passion for the ocean and its creatures. 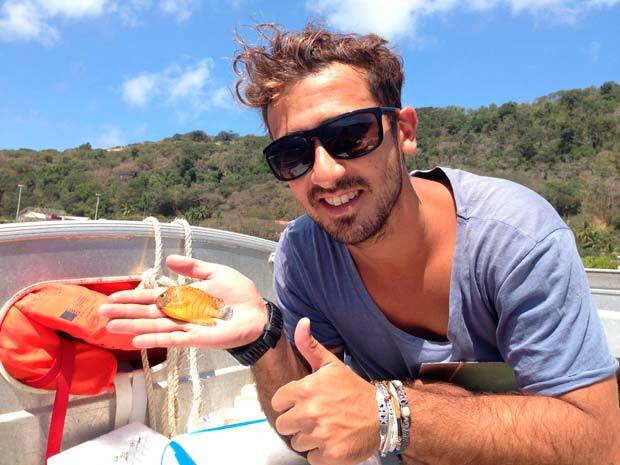 Soon after my marine biology degree in Pisa (Italy), I decided to move to Australia for a few months, where I volunteered for different research and conservation projects, and where I met my good friend José – founder and CEO in PETER Diving -. I was then offered a position in a Master to research in fish ecology at Edith Cowan University and here I am now, completing my doctorate. My thesis project aims to understand causes and consequences of hybridisation in angelfish, which is a tropical fish under the family of Pomacanthidae. Hybridisation is defined as the interbreeding between two genetically distinct populations or species, that produces viable offspring. Hybrids between three species of angelfish have been reported from Christmas Island. This is a unique opportunity to examine the ecological causes and posible consequences of this very unexplored process which is hybridisation. 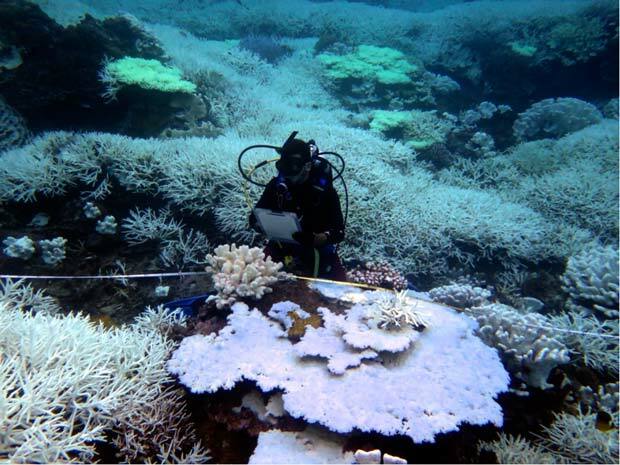 Due to unusual high water temperature (33°C), around 90% of the corals were bleached and 30-40% of those were already dead. Bleaching is a stress response of the corals, when the water temperature is too high (even 1 or 2°C more than usual), they expel the symbiotic algae that give them their vivid color. If the stress last for too long (1-3 months), the corals die. We assessed the impact of this event, which was part of the same rise in ocean temperatures that has caused widespread coral bleaching on the Great Barrier Reef, and we found corals bleached all around the island and to a depth of 60-70 m.
Recently, I attended the 2016 International Coral Reef Symposium in Honolulu – Hawaii, where I presented my work. The focus of the whole conference was again the coral bleaching and climate change. World class professors and researchers presented their works on this topic and gave us some future prospectives, unfortunately they didn’t look good at all. Climate change is real and we need to act extremely fast to stop this devastating process. Nowadays I am part of the Center for Marine Ecosystems Research at Edith Cowan University and our work is mainly undertaken in less than 10 m depth. We do a wide range of underwater scientific works from transects, sample collection, visual census and we work in different study sites, from temperate and tropical reefs, remote areas and estuarine environments. Carrying more than 20 Kg on our backs for 3 or 4 dives every day it is quite inconvenient and can lead to back injuries, not only while working underwater but also moving the heavy and bulky gear from and to the university, in vehicles and to the study sites. 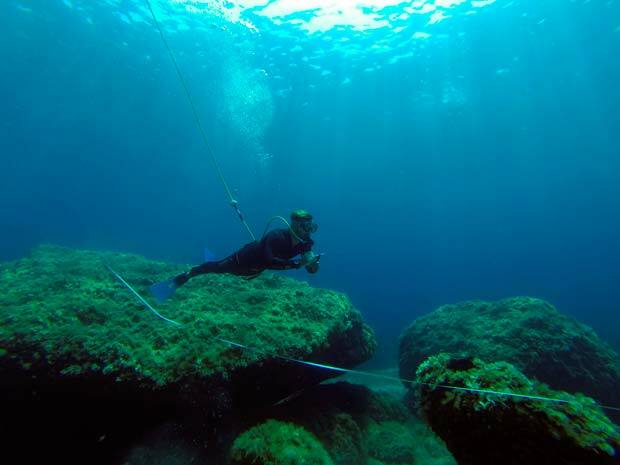 When I realised that some other marine conservationists – The Coral Guardian – were going to start to work with PETER Diving System, I thought that it could be also a great tool for every scientist working in shallow to medium depths. Then I decided to try the PETER Diving Experience myself and test the system for specific activities we regularly undertake. 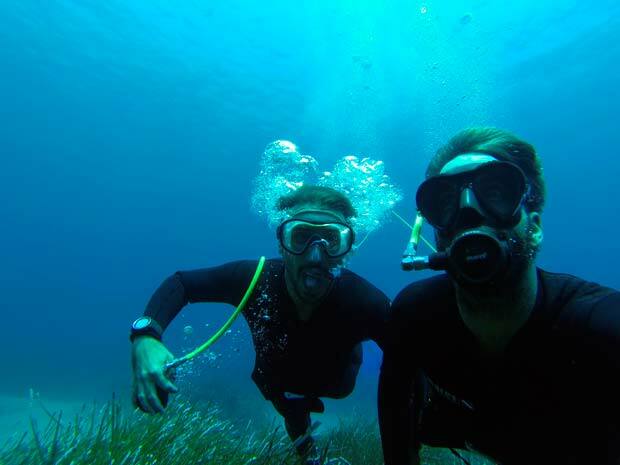 Recently I had the pleasure to meet my good friend José in Mallorca (Spain) and try the PETER Diving System. The result was absolutely fantastic. We tried the system at different depths (5-10- 20 m) and simulated different marine research techniques such as transects and sampling collections. The feeling was great since the beginning to the very end when the alarm sounded to indicate that the air pressure in the tank was 50bar, the freedom of movements, perfect buoyancy and the almost infinite versatility of the system are sensational. I will definitely introduce very soon this concept to the Australian scientific community. From my point of view, PETER Diving System should be a must have piece of equipment for every marine research center.